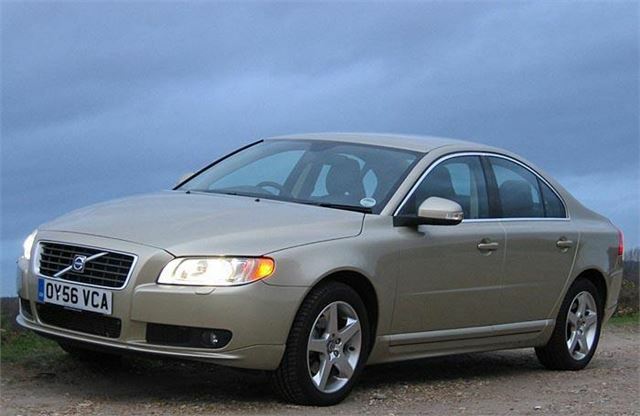 The Volvo S80 has won the title of Professional Driver Car of the Year 2012. Not only that, it has also claimed the laurels for Professional Driver Executive Car of the Year. The S80 D3 SE Lux came top, above the Mercedes-Benz E220, BMW 530GT and Audi A6 to win the Executive Car of the Year class en route to winning the coveted overall top prize. These wins reflect Volvo having the confidence to introduce a three year/120,000 mile extended warranty for chauffeur drive companies on S60, V60, V70, S80 and XC90 in 2012, and Tristar Worldwide renewing a solus three-year car supply deal late in 2011 for 2,100 cars to service its Virgin Atlantic Airways' Upper Class chauffeur contract. host of refinements last year. The sat-nav has been brought bang up to date, while subtle tweaks to the cabin have given a much more prestigious luxury feel. Rear legroom is excellent, and softer seats have enhanced the rear-seat experience." Judges were also impressed by Volvo's low speed collision avoidance system, City Safety. "This excellent system could save you hundreds of pounds in repair costs and vehicle off-road time by avoiding urban bumps and scrapes," Bursa says. Professional Driver said the S80's competitive pricing against its rivals, low running costs and appeal to many parts of the executive market make the model a highly appealing prospect for any budget. Bursa adds: "Factor in some excellent running costs, low CO2 emissions and a very keen contract hire price for chauffeurs, and the Volvo S80 makes so much sense for a very wide range of businesses. It's solid and reliable enough to be a workaday private hire vehicle, yet up-market enough to handle executive chauffeur work." "Would your clients really be disappointed if a Volvo turned up instead of a Mercedes or an Audi? We're guessing not. And in austere times, turning up in a less ostentatious car puts across a better image. That's why the Volvo S80 is Professional Driver's Car of the Year for 2012." The Volvo S80 range is available from £29,070 on the road but also incorporates impressive residual values. British Car Auctions statistics show that current three-year-old S80 models are typically achieving 103% of CAPclean values, whilst the S80 D5 Geartronic fares even better achieving more than 107% of value on average. According to CAP's own Black Book data, a three-year-old S80 D5 SE registered in 2009 on a ‘59' plate with 30,000 on the clock is likely to fetch £11,600 equivalent to 39.89% of its new value of £29,080; the 2.4D SE Geartronic version achieves on average £10,200 or 37.51% of its new price of £27,190; and the 2.4D SE Premium Geartronic typically achieves 39.40% of its original £29,190 value at £11,500. We actually witnessed a 61,000 mile, 09 reg Volvo S80 2.4D 175SE manual make £7,950 at auction on 17th August.